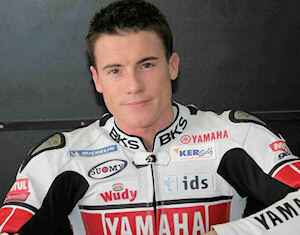 James Toseland is a World Superbikes Champion (2004 and 2007), and was born in Doncaster Royal Infirmary on 5th October 1980. He lived in a mobile home until his mother got a house in Mexborough. He is one of only two men, the other being Troy Corser, to have won the World Superbike Championship for two different manufacturers. He retired from racing in 2011 on doctors advice after a wrist injury incurred earlier that year. He is a keen musician, pianist, and plays with his band Crash. He hails now from Kiverton Park in Rotherham.